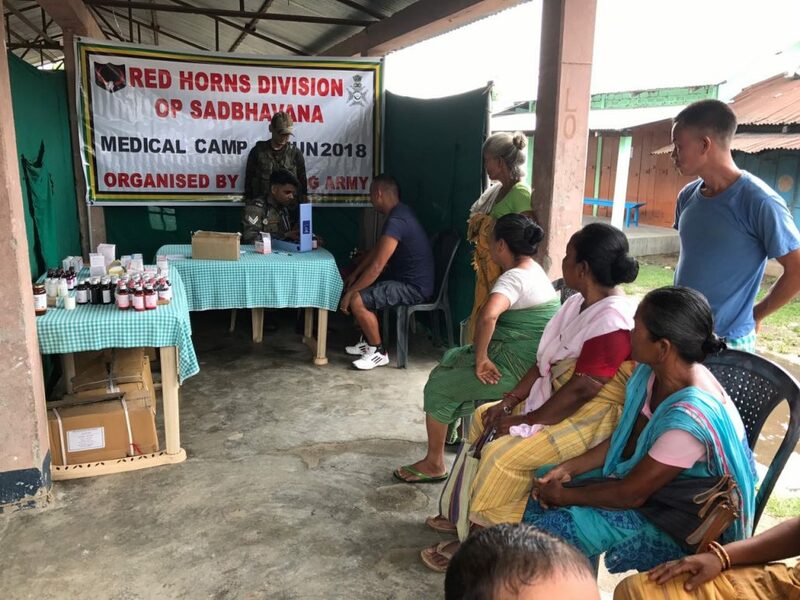 Chirang Army of Red Horns Division conducted a medical camp at Khungring in Chirang district of Assam on Saturday. A medical team of Army medical officers under Captain Ketan Patil conducted the medical camp at Khungring Gaon. A total of 180 locals attended the medical camp. People who came for consultation were provided with necessary medical advice and medicine. The beneficiaries included women, children and aged people. The Army has been constantly reaching out to people living in far-flung areas where there is a lack of infrastructure and access to medical facilities in coordination with the State Government.